The holidays are an important time to be with family and give thanks for all the blessings we have in our lives. As we prepare to enjoy delicious meals with our families it’s a great time to give thanks for our food and where our food comes from – right down to the soil. I was excited to learn that, through regenerative agriculture, General Mills is making a conscious effort to further farming techniques that actually help to restore the planet and address climate change. As the granddaughter of Louisiana rice farmers and as a lover of getting out into nature and eating healthy foods, I am totally excited to learn more about regenerative agriculture and how food companies are putting it into practice. Today, I’d like to share with you more about what regenerative agriculture is, why it matters to the average family, and how you can help support it through your everyday actions. This post is sponsored by General Mills. While our modern food system is highly productive, it comes at cost and it has been a major contributor to environmental degradation of our soil and our water, not to mention contributing to biodiversity loss and climate change. We have lost more than half of our top soil over past 100 years and it’s predicted by a senior UN official that there are “only 60 years of farming left if soil degradation continues.” Top soil has the highest concentration of organic matter and microorganisms that support healthy crops. How our food is made is important to each and every one of us and to the future of our families which is why I’m excited to dig into the topic of regenerative agriculture with you today. First, let’s talk about what regenerative agriculture is. According to General Mills, regenerative agriculture goes beyond reducing harm to protecting and intentionally enhancing natural resources. Regenerative agriculture is about using farming practices such as including cover crops (think armor for the soil) and diversifying crops (not just growing the same crop year after year for decades), that create an opportunity to restore our soil for generations to come. You can read more about how it works here. Now that you know the basics of regenerative agriculture and the huge impact it has on both our food supply and our natural world, let’s dig a little deeper with some specific ways that it helps restore our planet. Combats climate change: Regenerative agricultural practices work with nature to pull carbon from the air (CO2) thereby reducing the greenhouse gases in our atmosphere and restoring it in the top soil, where it nourishes a network of life and improves food production. Empowers farmers: Regenerative agriculture practices can build farm resilience over time, supporting healthy yields and reducing the resources needed to combat system stressors like pests, natural disasters like droughts and floods, and even diseases. Protects Pollinators: Regenerative agriculture methods can protect pollinator habitat and encourage new ones to thrive. Ensures better water quality: Regenerative agriculture methods that create healthier soil also help keep nutrients in the land and out of water where they cause pollution. Healthy soil also stays intact during heavy rains, which means less flooding and the soil is able to hold more water to sustain life during drought. As you can see, regenerative agriculture has the potential to have a very positive impact on the planet and how we grow our food for years to come. 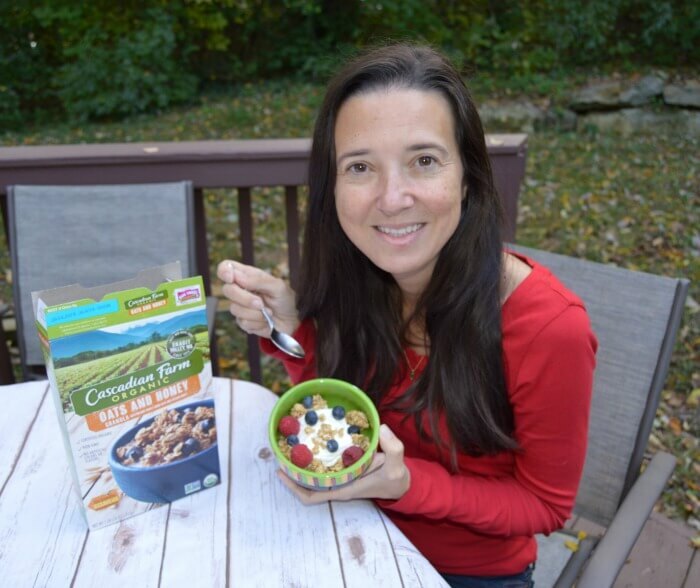 While it’s still very new, it’s going to be something we hear about more and more, as companies like General Mills continue to incorporate regenerative agriculture in the foods they make. 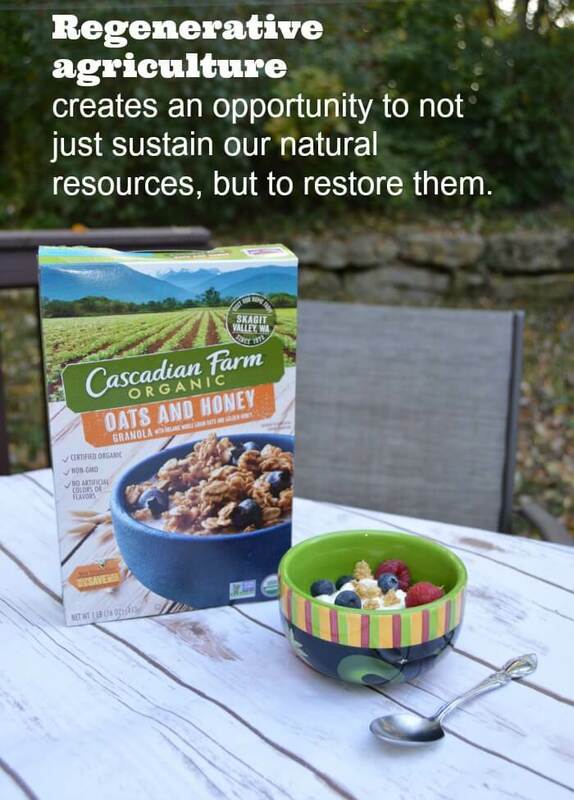 Several of my favorite General Mills brands are the leading force in bringing regenerative agriculture to farms across the country. In fact, General Mills has invested more than $3 million in soil health initiatives led by NGO partners such as The Nature Conservancy, The Land Institute, and Soil Health Partnership to advance soil health and regenerative agriculture practices on U.S. lands. General Mills has the scale and resources to make regenerative agriculture grow faster so I am so excited to see them putting it into market. 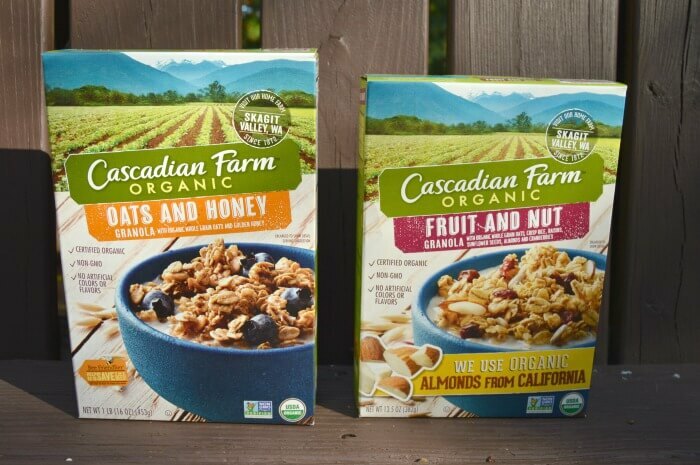 One of my personal favorite General Mills brands is Cascadian Farm whose vision is to empower organic oat farming communities in the U.S. and Canada to implement and champion regenerative farming principles. They are in the early stages of this process and they are working with oat growers on 2,500 acres of land to understand the impact of regenerative organic practices on soil health, biodiversity, and economic resilience in farming communities. It is really exciting to see change begin to happen! You can learn more about how General Mills is investing in regenerative agriculture here. I hope you find the power of regenerative agriculture to restore our planet to be as exciting as I do! It is certainly something to be thankful for this holiday season as we feast on our favorite foods.